Probate is necessary if somebody passes away with property still legally titled in his/her name. It involves changing the deceased’s title into that of his/her heirs. Typical probate administration of a deceased’s estate requires the appointment of a personal representative. In some methods, however, a personal representative is not appointed. These methods are collectively called ‘’dispensing of administration’’ and require the guidance of a probate lawyer in Denver or any other state to navigate. Below are the common methods of ‘dispensing of administration’ you might come across. According to probate law, an attorney can opt for the small estate probate method if the decedent has up to $40000 in net assets, which should go through probate. The process is faster and simpler compared to a typical probate administration. Small estates with above $15000 in assets require publishing of a notice in the paper. 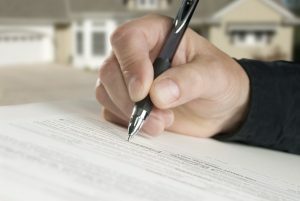 Surviving spouses, children, creditors, or dependents of the decedent can claim particular amounts of property using the process of ”refusal of letters”. In this process, the probate court neither appoints a personal representative nor open a standard probate estate administration. The title owned by the deceased passes on to the dependent, spouse, creditor, or children, depending on the asset amount set by the state. A personal representative in probate law is appointed within a year of the decedent’s death. If this is not done, your attorney can start a determination of heirship process to transfer the assets from the deceased’s name. A petitioner requests the probate court to determine the decedent’s heirs. The judge then decides who the inheritors are and what they should get. For those who wish to use a ‘’determination of heirship’’ for real estate only, an ‘’affidavit of heirship’’ is ideal. For this option, you must name and locate all potential heirs. It works best if all spouses and potential heirs cooperate in the creation of the affidavit.